How to combine/merge pages in pdf file (GUI)? I want to combine two pages in pdf file into single page. Consider I have a pdf file in which there are two pages, now I want to combine two pages into (single) one, No-matter for (how-long) page-size! Note: This question is not about combine two pdf files or merging pdf files or adding pages in pdf files. Also visit Question about scaling page in pdf. Multiple pages can be combined with it. This will combine two input pages per one output page. Refer to man pdfnup for more details. Also refer this Stackoverflow question. 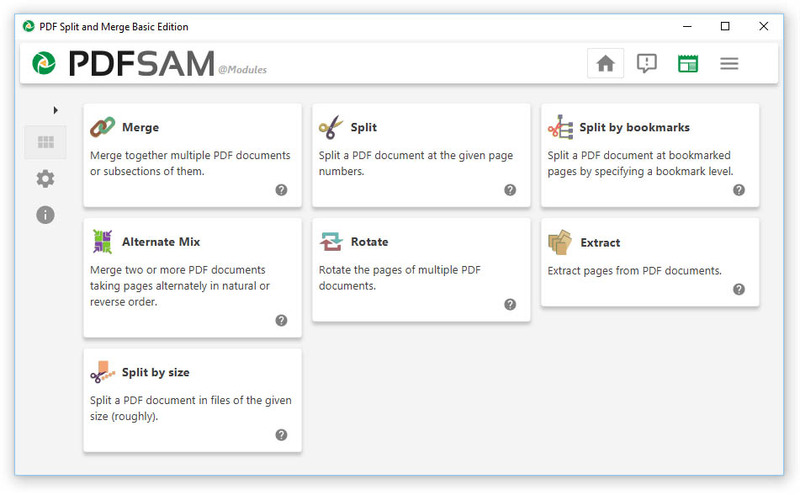 If you're looking for an OpenSource solution I highly recommend to look at PDFsam, which comes with a huge pack of useful features to merge, split and "alternate mix" PDF files. Here's a brief guide explaining what it can do, with a strong focus on the Alternate Mix feature which is one of its major strenghts. Sejda is an online service based on an open source PDF engine and the N-Up feature should do what you are asking. PDF-Shuffler is a GUI PDF app that allows you to merge, shuffle and delete PDF pages. There is no need to install additional software. Use the Print to PDF feature of your favourite pdf viewer. For example: Open your pdf file evince and print with two pages to one side, select Print to PDF or a pdf printer that is installed on your system.